How Healthcare Organizations gets profited by BI? I have seen many hospital administrators who have been using the Healthcare analytics for creating quality reports and capture better revenue. These administrators are working in teams with their IT department and other hospital staff in determining what to spend, and where to spend it, as BI takes on a greater role in health care. Like many industries, health care seeks ways to improve efficiency and reduce costs. Hospitals are turning to analytical tools to help accomplish these goals and to create better clinical outcomes for patients. On the other hand hospitals equally are just getting started or are planning to implement data analytics. Healthcare industry as such is full of modern challenges in data quality and its distribution and hence indeed, BI is so important to this industry for not only analyzing the data but also to know how the results of these analyses are related to everyday business decision. Individual departments not receiving timely analytic support create their own internal databases and approaches, exacerbating the issue across healthcare systems. These shadow systems generate unnecessary costs and the outputs lack data quality, security, and consistency, thus the need for a dependable source of experienced support. There is a no common understanding or agreement on definitions or consistent data flow. Different data bases display information based on different sets of qualification criteria, highlighting the fact that there is no consistent definition or standard for how information is extracted, viewed and analyzed. The experience set of the analysts that receive business requests and pull the data do not have the deep insight required to interpret business drivers behind the data requests. Healthcare organizations improve patient care by driving better decision making throughout the organization. Helps you to have a clear insight into clinical data and hence clinical decisions will be evidence based. Helps to supervise and endeavor over inflating costs and operational processes, and increase the quality of care and the financial health of the organization. Helps to improve patient safety and clinical quality by providing reports and analytics to give insights into business operations. With the use of the KPIs, Hospital Performance can be monitored and analyzed. KPIs on accounts receivable, operating profit and expenditure involved in development of latest medicines and amenities help in evaluating the fiscal advancement and performance of the health care facilities. It helps to mine patient data for clinical patterns and treatment protocols and track the cost of supplies to the cost of procedures. It helps to generate clinical and service line reporting and analyze potential contracts while negotiating with payers. Thus using KPIs BI permits management to have a luculent idea of events occurring in a hospital or in multiple group hospitals. To avoid repetition of errors in medical field, workflow management must have integrity. Supreme compliance must be attained to a great extent so that progress and good management will go hand in hand. This will bring to a successful conclusion that should be confirmed. It also assists flexibility in the business process by advancing with customer needs and competitions. Medical Assistants are heavily involved in making sure data is properly recorded and utilized. Patients would ensure their confidence in a medical institution when they see that they have the right medical assistants who can give them satisfaction. 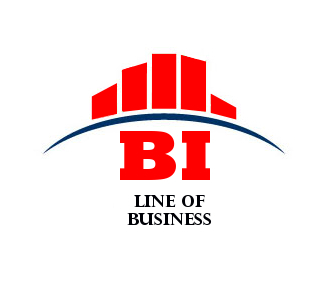 Is your organization looking for a BI vendor? Have your organization chosen the right tool? Just a BI add-on to be integrated to your existing EHR?